Our vision is a world where women of color can thrive, not just survive. We accomplish this by providing educational resources and workshops on issues including self-development, financial management, overcoming workplace stresses, sexual and reproductive health, relationships and dating, and more that are uniquely tailored to the experiences of women of color. Doris is on a mission to educate, empower, mentor, and effect change in the lives of women of color. Throughout her career, Doris has focused on expanding access to healthcare and higher education and on championing social justice and sexual and reproductive health for all. 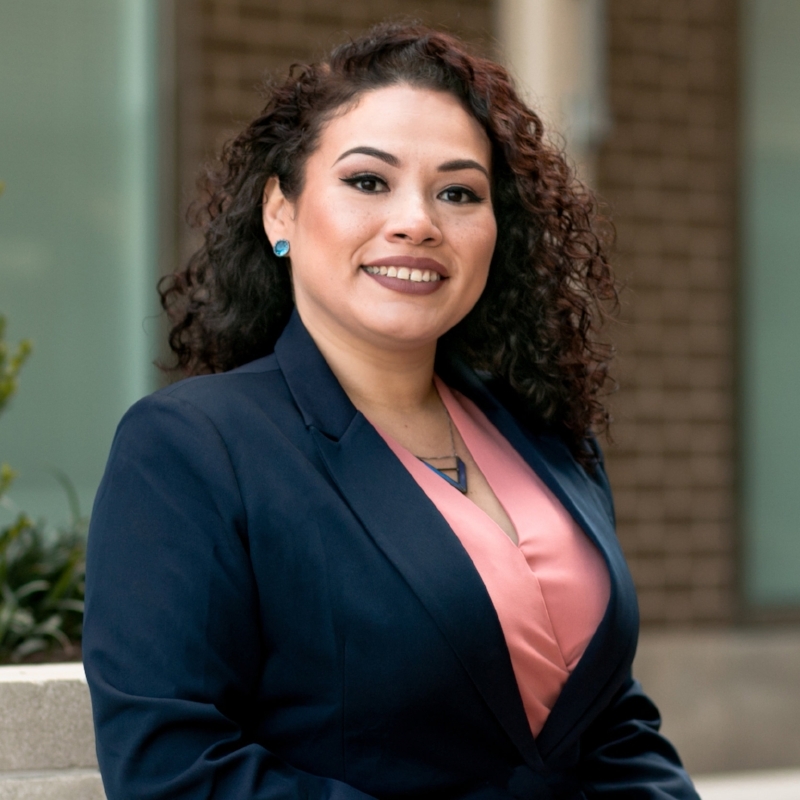 Her journey started in 2009 in Oakland, California, where she spearheaded community health education and youth leadership development with La Clínica de la Raza. In 2014, she moved to the Dominican Republic to work in youth education and leadership and returned to the United States to continue this work, focusing on building partnerships and recruiting student leaders. In 2016, she joined the Association of Reproductive Health Professionals (ARHP) as a program manager and managed a portfolio of continuing education programs focusing on the intersection of sexual and reproductive health and chronic conditions. After nine years of working in non-profit spaces, Doris decided to venture off on a new path: creating The Melanin Collective: Women of Color, Standing Together, a space for women of color to see their true self and value, to work as a collective for the common good, and to develop supportive, professional, and lasting relationships. This newest chapter in her life is focused on empowering and supporting women of color so they can thrive freely and live happy, healthy, and fulfilling lives. Doris grew up in Santa Ana, California, and went on to receive a bachelor’s in International Development with a focus on Latin America and the Middle East from UCLA in 2008. Kaitlyn Ramirez Borysiewicz is the co-founder and former communications director at The Melanin Collective, where she oversaw the creation and management of The Melanin Collective's online community-building platforms. Currently, she serves in an advisory role on The Melanin Collective’ advisory committee. She currently works as Communications Specialist at Georgetown's Center for Children and Families, where she helps to craft and spread information on the latest policy updates for Medicaid and health care for children and families. She’s been featured on Vox, The Kojo Nnamdi Show, and Technical.ly DC, among others, during her time at The Melanin Collective. There are hundreds of places out there where women’s professional success is the focus, dead and center. I’ve been to countless of these workshops, numerous trainings, professional networks, and while I came away learning something new there was this voice in the back of my head telling me that something was missing. The experiences of women of color are based on various intersections of our identities, but the spaces I was in presented me an ideal and polite example of how things should be and lacked understanding for the intersection of our lives. I wanted to be brazen and to galvanize voices like mine. Experiences like mine. But still, you might be wondering: how do I know if The Melanin Collective is the right place for me? Well, if you’ve ever felt tokenized in a white space, suffered microaggressions in a white space, had racism flatly denied in a white space, or been targeted for calling out problematic behavior in a white space, we are the place for you. As women who are not white, you know the struggle of having to work a hundred times harder for your keep, with none of the benefits. You know the struggle of talk but no action -- of people telling you to take charge and fix it. Of people telling you to advocate for yourself or be the change you want. It’s frustrating. It’s tiring. But trust us, you are not alone. Through educational workshops and community building, we will work tirelessly to acknowledge our biases and prejudices, while confronting the trauma and emotional labor inflicted on our bodies and minds. Intersectionality is at the core of who The Melanin Collective is, as not all lived experiences are one-size-fit-all. But one thing is certain: you will come away from our community stronger, more prepared, and confident to tackle everything that is thrown your way. We’ll teach you, and teach each other, how to express yourself without fear of consequences; we’ll respect all perspectives and encourage active, compassionate listening; we’ll unpack our oppression, how we oppress others, and build a space for healing and freedom. We’ll be straight-up, though. The Melanin Collective is not a space for one-sided transactions, or for women who do not believe biases exist in America. It is not the space for feel-good conversations. Why are we so adamant about this? Because The Melanin Collective is different, and this commitment to inclusivity and nuance is what makes us special. We will push hard, together, to have difficult discussions and challenge our limitations and assumptions. At The Melanin Collective, you will be seen and you will be heard. We want you to bring your personal experiences, start a conversation, and come away learning something new. When we work together like this, we all win. PS. Read our frequently asked questions to learn more about what we do!